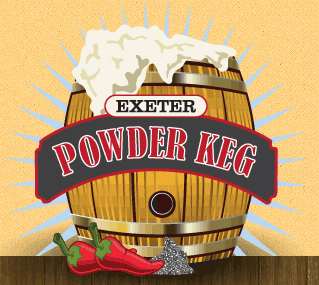 Join us on October 5, 2019 for the 8th Annual Exeter Powderkeg Beer & Chili Festival! Love beer? So do we! Come join us sample over 40 breweries along with many New Hampshire Restaurant’s Chili at the 8th Annual Exeter Powder Keg Beer and Chili Festival on Oct 5th. Gates open s at 11 am. Everyone entering must have a ticket. This is the only family friend brew fest you will find in the area! Bring the whole family, Youth and Designated Driver tickets available. Hope to see you all! Cheers!